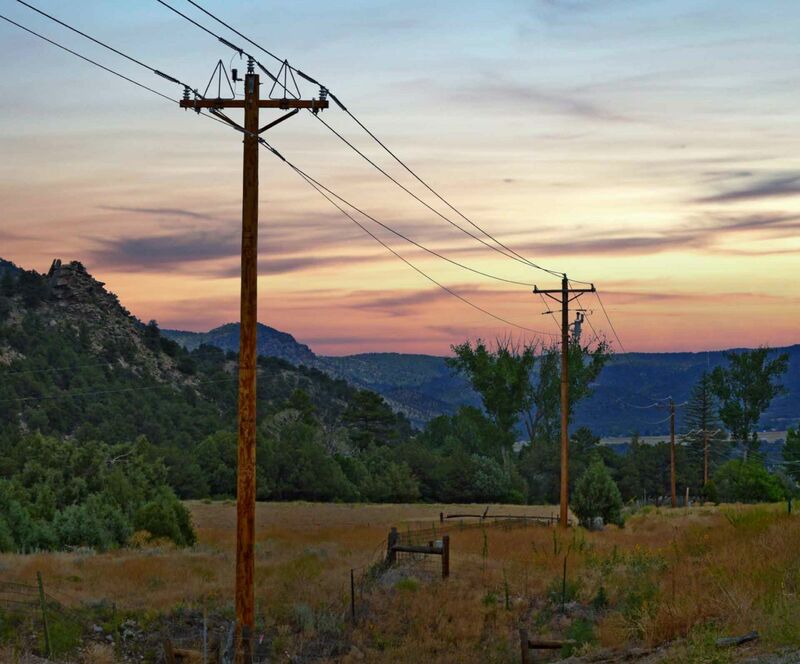 Cooperatives Like Sangre de Cristo Electric Association Are Community-Led – Sangre de Cristo Electric Association, Inc. Dramatic changes are transforming all aspects of the energy industry. Interest in renewable energy is at an all-time high, and ultimately consumers want greater control over their energy use and payment methods. The prevalence of smartphone apps and “smart” technology for the home is increasing, and consumers and businesses are showing greater interest in electric vehicles. There’s no denying it: electric utilities need to make changes in the way they provide energy to accommodate these trends. Luckily, Sangre de Cristo Electric Association, Inc., is uniquely positioned to meet these changing energy needs because we are a cooperative. Cooperatives are locally governed, looking out for the long- term needs of their consumers. Profits made are returned to consumers, not stockholders. Employees live, work and raise their families in the community, too. Because we belong to the communities we serve, this heightened community focus allows us to quickly adapt to evolving consumer needs and expectations. We are led by the people that we serve, our consumers. Electric cooperatives like SDCEA are a catalyst for good in their communities. Cooperatives engage their consumers to do things that might otherwise be impossible or difficult. Electric cooperatives formed to bring power to their areas more than 80 years ago when other utilities did not find it economically feasible. Today, it means we create projects and programs for our consumers. Trout Creek Solar, charitable giving, student scholarships and student engagements such as Washington D.C. Youth Tour delegate sponsorships and safety demonstrations in schools are examples of some of those efforts. Reflecting the unique makeup of our consumer base, we also provide many services to our consumers online so they may take care of their business with our company as it is convenient for them. Cooperatives exist to meet a need that was previously unmet in the community, and they are ever striving to anticipate and plan for the future needs of their consumers. Electric cooperatives often partner with local groups to bring economic opportunity to their local community. It is this facilitation role that is often the most valuable strength of the co-op. Right here in our five-county service territory, we partner with local economic development organizations and attainable housing efforts. The co-op business model is unique—it is pragmatic, mission-oriented and puts people first. Co-ops strive to be a trusted voice in their communities. Co-ops earn that trust because, while not perfect, they always have their members’ best interest at heart and are determined to enrich the lives of those living and working in the communities they serve—now and in the future.